Adoption can be a special time for your family; it is when you can usher in a new family member and make a difference in a child’s life. However sweet, the adoption can also be heavily complicated, ranging in types of adoption and legal processes. If you and your partner aren’t aware of the steps or genres of adoption, you might be unprepared and taken advantage of in the adoption system. For instance, some American families have fallen victim to scams and cases where the child was unwillingly taken from their biological parents. In this blog, we will discuss the different genres of adoption and the processes needed to move forward. Our hope is that by reading this blog, you will have a better idea of which type of adoption is more suited for your family. 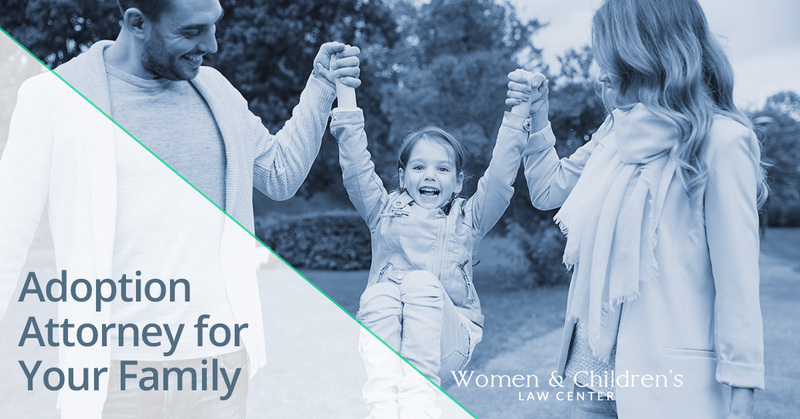 At the Women and Children’s Law Center, our adoption attorneys can help guide you through the adoption process and make sure you obtain your child in a legal and safe way. If you would like to adopt a child, you have to decide whether you want them to be from within the United States or from another country. The difference between the adoptions are significant, so whatever one you decide to go with will change the course of your legal process. For instance, adoptions that take place in the United States range from $35,000 to $50,000, compared to international adoptions, which are around $32,000 to $66,000. International adoptions are also more complex and information can be limited in regard to the previous care of the child. For instance, in international adoption situations, most children are titled as “abandoned” and cared for in an orphanage or foster care facility. Because of this, information is very limited so you won’t always know where the child came from, how they were cared for, or even how many immunizations they have had. Domestic adoptions can take place in your local city or from another state. Due to national records, the child’s history is far easier to obtain. For domestic adoptions, you can adopt infants from adoption agencies to teenagers in foster care. In foreign adoption situations, some adoptions won’t be finalized until the child is much older. It depends on how quickly you can complete the process of the adoption. Lastly, with international adoptions, the legal process can be quite grueling. Some countries won’t allow certain couples to adopt a child, depending on the state of their partnership, the length of their marriage, or even if one spouse has had previous divorces. Private infant adoption is a quick adoption process but requires the use of an adoption attorney. Your attorney will need a full understanding of the adoption process, as well as the nuances of private adoption. In private adoptions, you are given far more information about the child and the biological parents. In other forms of adoption, the parents are non-existent in the process, which means you won’t know their medical history or if they have passed a condition to the child, such as down syndrome, fetal alcohol syndrome, etc. Private adoptions are best for couples that want to adopt an infant domestically and quickly. This process is typically faster than other adoption methods, but has some restrictions. Some states do not condone private adoptions, which can make it difficult for some couples to adopt. However challenging, this form for adoption ensures that both sets of parents needs are met. The adoptive parents are able to find an infant of their exact wishes, such as gender, age, medical history, etc, while the biological parents are given care up to the delivery and contact with the child after he or she is born. Foster care is always a good option for adopting couples. In this form of adoption, you will typically care for a child for a period of time, with the end goal of an adoption in the future. However, this form of adoption should not be taken lightly. With foster care, the state has a reunifying policy. This means their goal is to reunite children with their biological parents, not new adoptive parents. Because of this, it is important to remember that, though you may care for a foster child, you are not their parent. Though you may not have complete legal control over them, as a foster parent, you are still responsible for their care until their biological parents can be rehabilitated into society. Foster care can be a rewarding experience because it means that you will be able to care for a child in need. Being a friend to a child with a home that has been derailed can help them get through a difficult time. And, the transition from their past home to your homes is a slow one, so you neither of you will be overwhelmed all at once. The foster care system is heavily impacted, having more than 100,000 children waiting for a foster home. And, due to the number of children in need of a home, some current registered foster parents take more than they can handle. Many times, foster parents don’t need very much to qualify as a registered foster parent candidate. In rare cases, foster parents don’t care for their foster kids as they should. If you have the resources to care for a foster child, the experience can be very rewarding — especially if you can give that child a safe, welcoming, and comfortable place to stay. Adoptive parents have the choice between an open or closed adoption process. This simply means that the adoptive parents can choose to let the biological parents have contact with the child. This contact, of course, can range from a variety of situations, such as visitation rights, verbal communication, etc. Ultimately, it is up to the adoptive parents to determine if they want their child to have contact with their biological parents. This choice can be advantageous for the child in the future, in case they have medical questions. This decision, however, demands a legal representative to intervene and draw up the contracts for this decision. Without an attorney, this decision between both set of parents is not binding. At the Women and Children’s Law Center, we have trained adoption attorneys that can help you with your case. No matter the type of adoption you decide to go with, we may be able to help you through your legal processes. Contact our law agency today to get the best representation you need through your adoption process.